Isleworth Boardgamers: Having a right El Grande time of it. Having a right El Grande time of it. 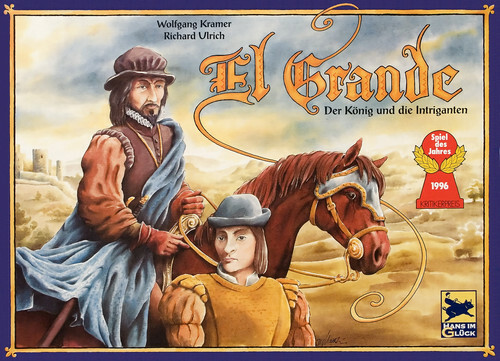 Paul kindly offered to host a game of El Grande as I had shown an interest in playing and hadn't played before. Philip was also keen to jump in and just as we were setting up both James B and Alex jumped in to make it five. An area control game set in medieval Spain with plenty of decision making. My starting position was right in the centre of the map in 'New Castile' which proved to be the breaking and then making of my game. By the first scoring round I had suffered quite badly from the action cards that the other players were all scoring nicely from, such as 'The Four/Five regions all score'. I was already about 30 points behind and it looked like I would struggle not to come last let alone win. However that proved to be a bit of a turning point for me and I managed to turn it around by controlling only one territory of 'New Castile'. The King was resident as well as my Grande and I utilised some of the action cards such as 'score any region' to start the long catch up. Alex meanwhile sped into an early lead but had used most of his high and low power cards whilst Paul wasn't far behind and managed to get a couple of his power cards back. By the 2nd scoring round I was back in the pack. Everyone else was spreading their caballeros across multiple regions whilst I decided to continue to just control 'New Castile'. That one region along with the bonuses from the King and my Grande as well as the occasional tower scoring was enough to propel me back into contention. By the time it came to the final scoring round I had pushed into and taken control of Philip's Grande region as well as push Paul close in one of his regions. It wasn't to be though as I just fell short on the last round. The game ended with Paul on 110, Alex on 99, myself on 97, James B on 95 and Philip on 93. Paul scored consistently well on every round as well as scoring well with the tower and action cards. I was quite pleased I managed to close the gap after a terrible first three turns. It's a truly great game and it's nice to see there are still classics I haven't played yet so thanks to Paul for hosting a game. 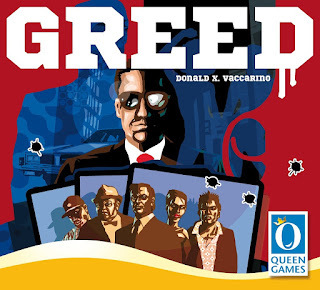 After that Philip, Paul, TomToo and I moved onto Greed. 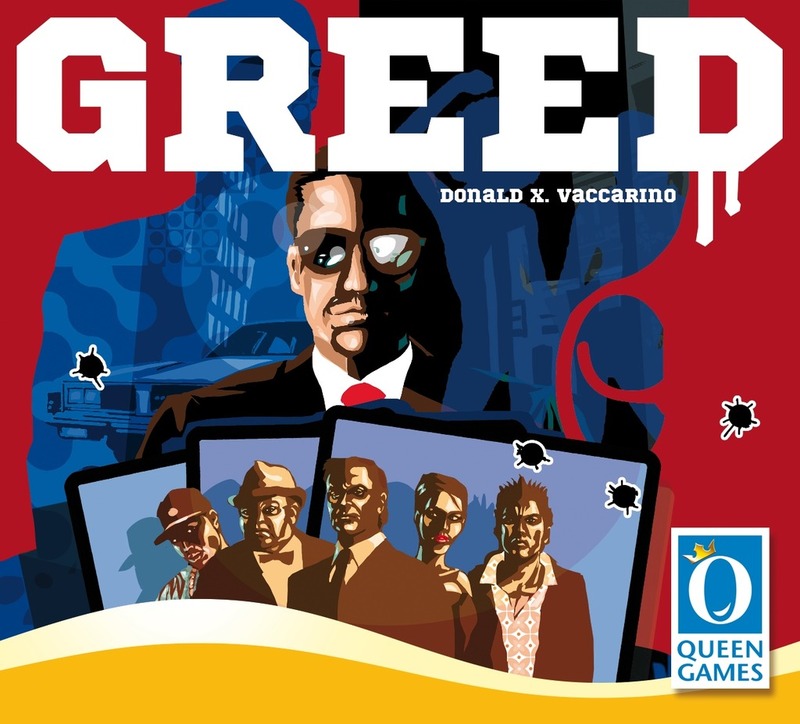 I didn't like this the first time I played but really enjoyed it this time around probably because I figured out how to play it and how to rack up the combos and bonuses. 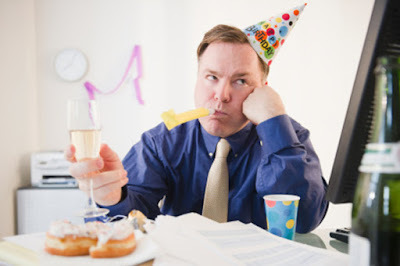 This time I went for a strategy of playing all thugs knowing I had a card I was saving for the last turn that made all other players discard 10k per thug I had. So whilst everyone else was working on building up holdings and money I went for playing as many thugs as possible as well as score from any combos. I had also played a few action cards that gave me a big money boost before I hit the others with the minus 60k for my six thugs. This was just enough to hand me the win with Paul second, TomToo third and Philip just behind. Now I 'get it' this would be something I would happily play more of.